At Supwatch, we believe in being radically unique. With that, we create the most beautifully designed products. We challenge the status quo by making quality products ever-so-easy to customize your Apple watch replacement band. 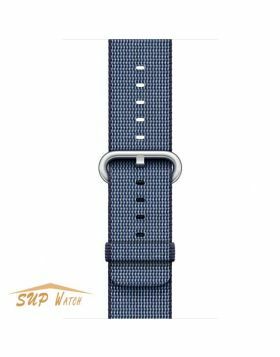 The hand-woven nylon fabric wrist strap is made of materials that can be molded to fit your everyday needs--comfortably into the shape of your wrist. The silver-tone buckle is made of solid stainless steel, also the clasp pin is enough stable and long, never worry about the middle pin in the buckle disengages easily. Secure your watch with impeccable yet unpretentious style. Perfectly fits all new Apple Watch Series 4, Apple Watch Series 3, Apple Watch Series 2 and Apple Watch Series 1. 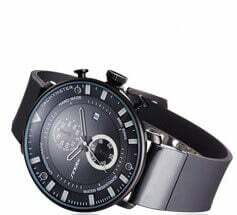 1 YEAR LIMITED WARRANTY: We know you are going to love your band but we guarantee a 100% refund if you are not satisfied with the products you received within 60 days and we provide 12 month warranty, If anything is wrong - please feel free to contact us - we will make it right.